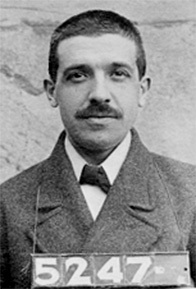 Charles Ponzi.. Could Have Been A Stockbroker or Insurance Agent! We were very happy to see the Wall Street Journal write about the newest phenomena in the investment fraud world. The states and the Financial Industry Regulatory Authority (FINRA) do a good job policing the ranks of stockbrokers but are virtually powerless if the brokers they sanction simply go and apply for an insurance license. Once upon a time, the lines between securities and insurance were quite clear. If you wanted to buy stock, you called your broker. If you needed car insurance, you called your agent. While the lines between those more traditional products are still clear, new investment products truly blur the lines. Layer on that most states don’t have rules prohibiting bad brokers from simply getting insurance licenses and the potential for problems increases. In the end, it is the consumer who gets hurt. Want another example? Many of the 419 plan scams (welfare benefit plans) were sold by stockbrokers, accountants and insurance agents. Is it an insurance product or security. We have prosecuted several cases involving a Ponzi scheme called PIWM. While PIWM functions like an offshore hedge fund, we know of several insurance agents and even an accountant who were peddling this product. FINRA works with the states to put all information about stockbrokers on a free, easy to navigate website. The BrokerCheck system allows investors to know if their stockbroker has prior complaints, suspensions, sanctions, criminal problems, bankruptcies or lawsuits. There is no national insurance agent data base and most states don’t even maintain this information, however. More importantly, most states can’t automatically ban a person from becoming an insurance agent even if securities regulators have removed him or her from the securities industry. That means bad brokers are free to become bad insurance agents and in many cases just keep on selling the same products to an unsuspecting public. When a stockbroker makes a mistake, there is reasonably good chance of recovering any losses from the broker’s employer. Not so with insurance agents. 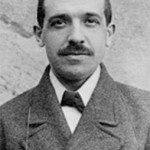 Many of the rogue agents are independent agents and have no deep pockets. If they are insured, their coverage typically doesn’t cover sales of securities. The takeaway from this is to know what you are buying as well as who is doing the selling. If the product has any type of investment component, it may be a security. The Wall Street Journal quotes the director of the Utah Division of Securities, Keith Woodwell, as saying “If you do something bad enough to lose your securities license, you probably shouldn’t have an insurance license either.” We agree. If the person you are investing with claims to have an insurance license but not a stockbroker’s license, check BrokerCheck anyway. It’s free and it might change your mind if you learn that your agent was once a stockbroker with a bad record. or by telephone at (414) 704-6731 (direct). All inquiries are protected by the attorney client privilege and kept in confidence.